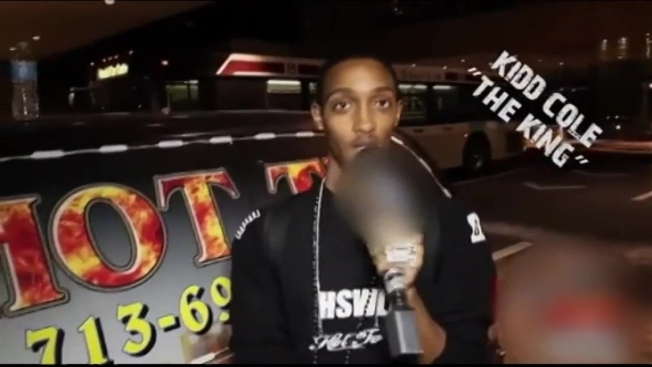 A man featured on the MTV show "Catfish" was arrested Wednesday for calling in threats against D.C. Metro stations, buses and trains. Jerez Nehemiah Stone-Coleman, AKA Kidd Cole, was arrested at his home in Southeast D.C. on charges of making terroristic threats, Metro Transit Police said in a release. Stone-Coleman was on the MTV show "Catfish" last year. Feb. 22, 2015 -- A caller said someone armed with an AS-50 sniper rifle threatened to blow up Metrobus 7130. April 14, 2015 -- A caller told a 911 dispatcher that bombs had been placed at the McPherson Square Metro station and at the White House. May 12, 2015 -- A caller claimed that his nephew was told about a plot to blow up a Metro station. These calls prompted emergency responses by Metro Transit Police and other law enforcement agencies, but the threats turned out to be "wholly false," according to the complaint. Police used cell phone records and video surveillance from Metro stations and buses to identify Stone-Coleman as their suspect. "We have no greater responsibility than protecting Metro's customers and employees," Metro Transit Police Chief Ron Pavlik said in a news release. "This case demonstrates the seriousness with which we take all threats and the lengths to which we will go to bring those responsible to justice." Stone-Coleman appeared on the MTV reality show "Catfish" last year in an episode that showed him pretending to be a well-known rapper to allegedly gain money from a fan online. Last year, he was charged with identity fraud in Richmond after authorities said he scammed Virginia Commonwealth University by promising to put on an event involving hip-hop artist Big Sean. On Dec. 5, Stone-Coleman entered a guilty plea to reduced misdemeanor charges that resulted in a suspended jail sentence. Stone-Coleman allegedly made the first of his 11 phony threats within a week of that guilty plea, Metro Transit Police said. William Efird, a public defender who represented Stone-Coleman in the Richmond case, raised questions about his client's competency in pretrial hearings, according to the Richmond Times-Dispatch. It was not immediately clear whether Stone-Coleman has an attorney in this case.